If you liked this show, you should follow THEDOYOURJOB WRESTLINGHOUR. Join The ConKaiserDor and "Old School" Avis Hathaway as they give you the best hour of wrestling talk and banter. 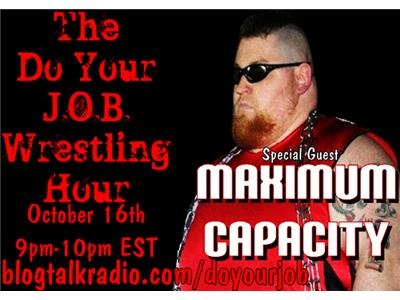 Joined by special guest, ,MAXIMUM CAPACITY!